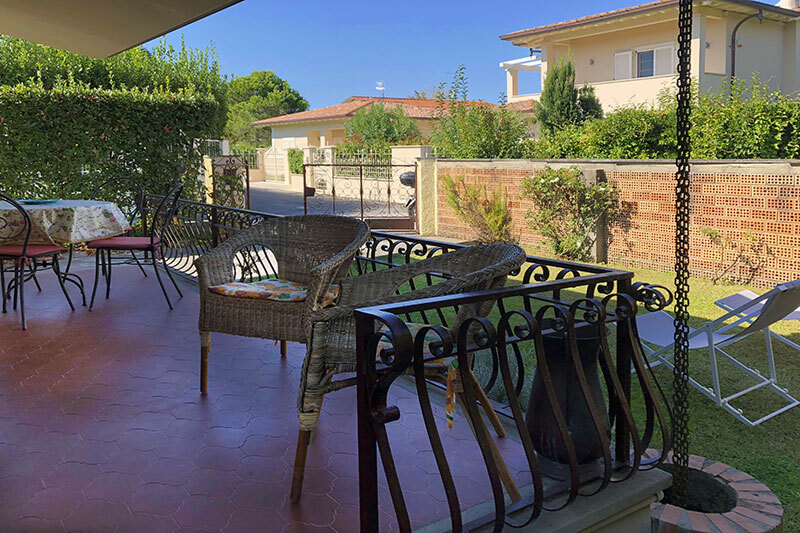 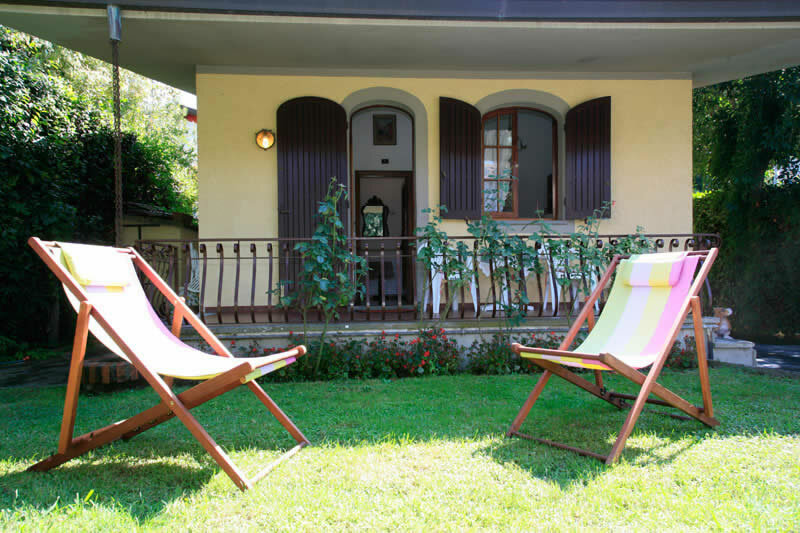 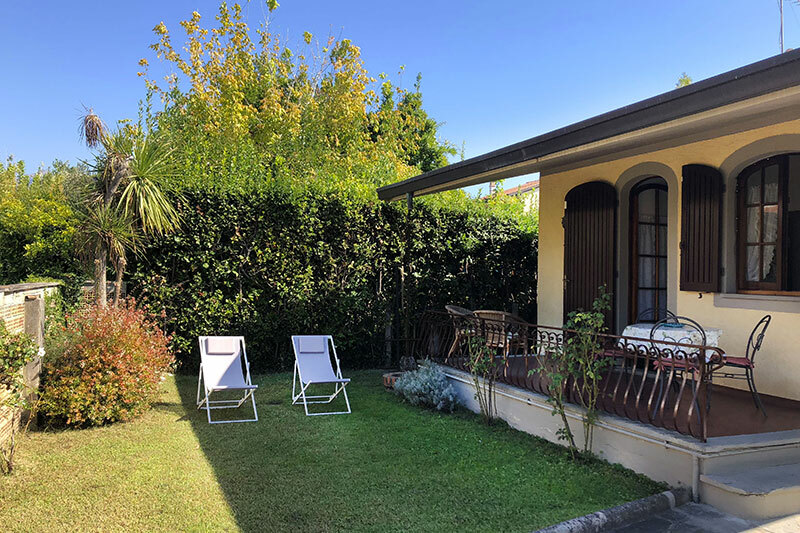 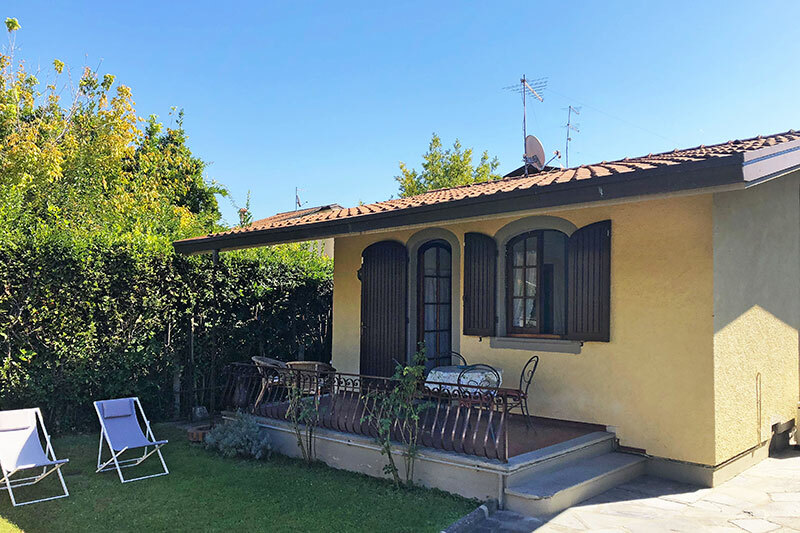 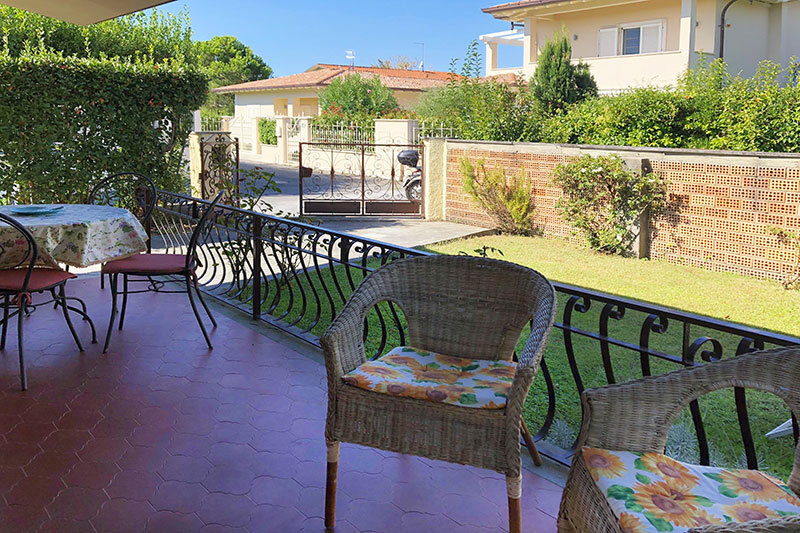 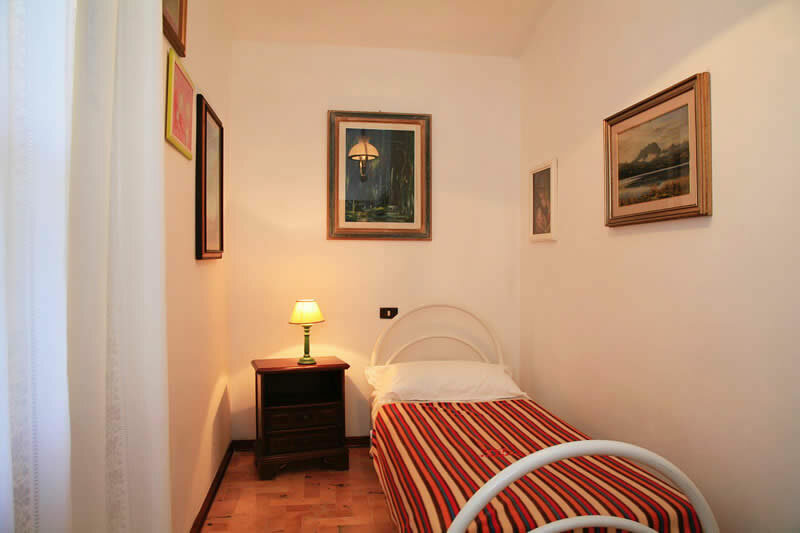 Villa Dea is a semi-detached, completely independent villa, built all on one floor, situated in a small quiet road, just out of the town center of Forte dei Marmi (500 meters), very close to the grocery stores and at a short and pleasant walk to the beach. 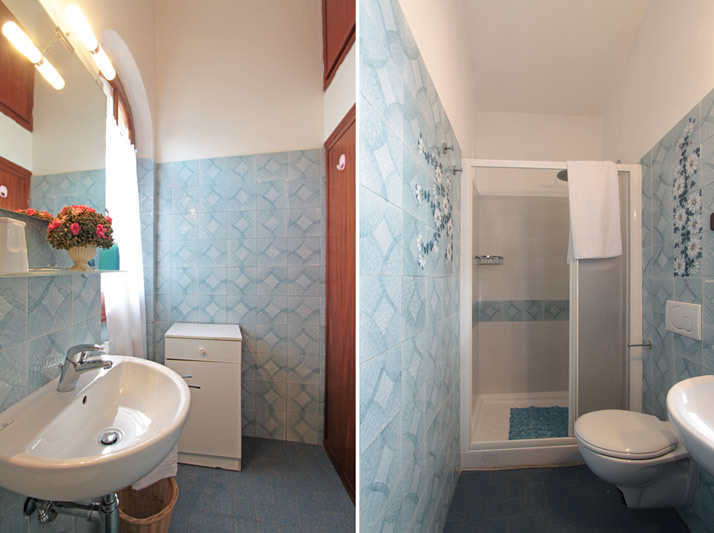 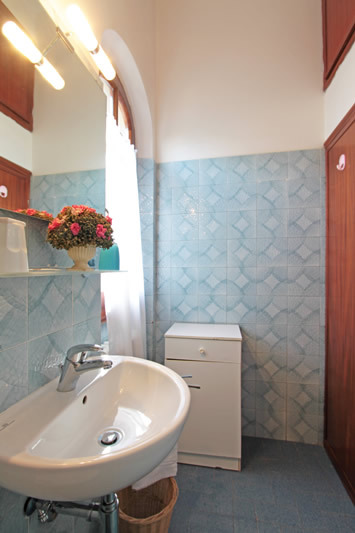 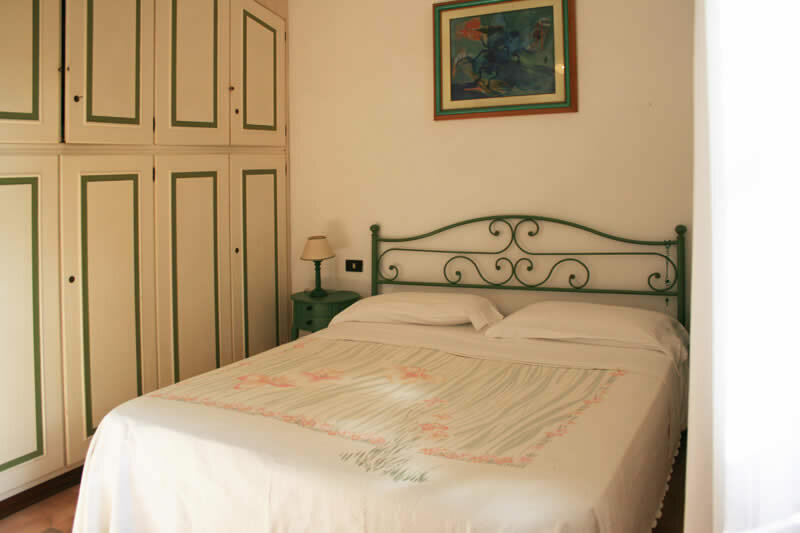 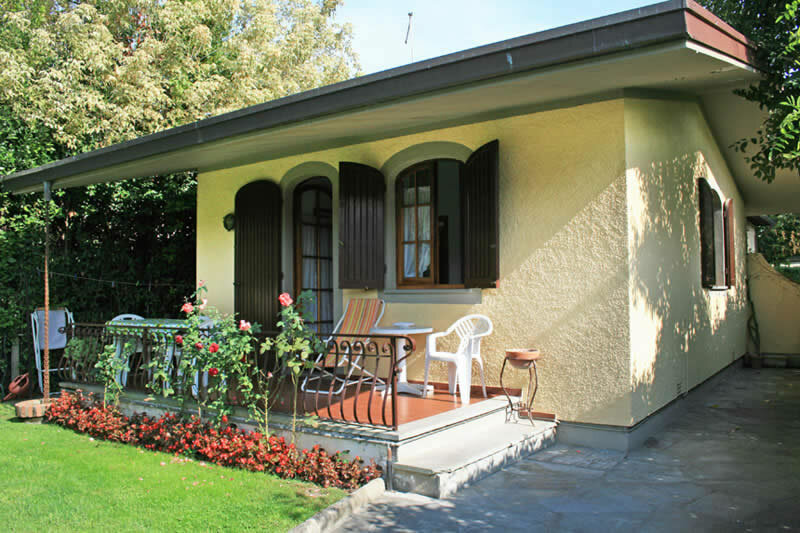 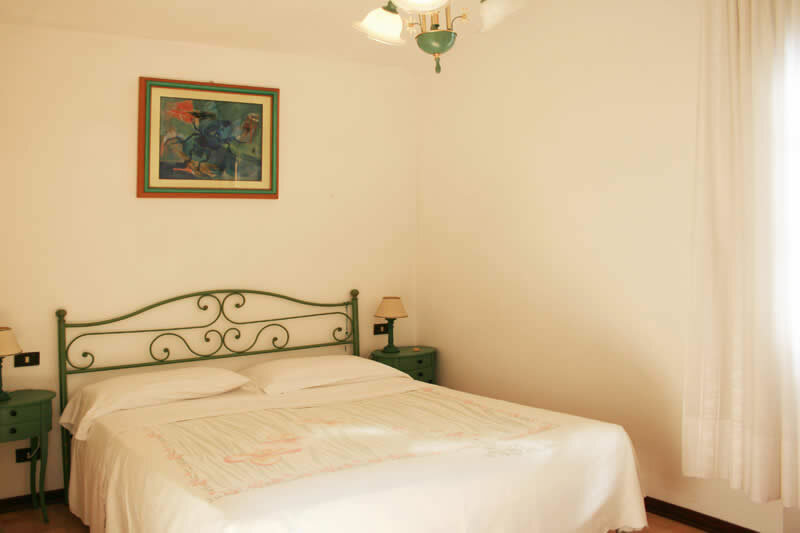 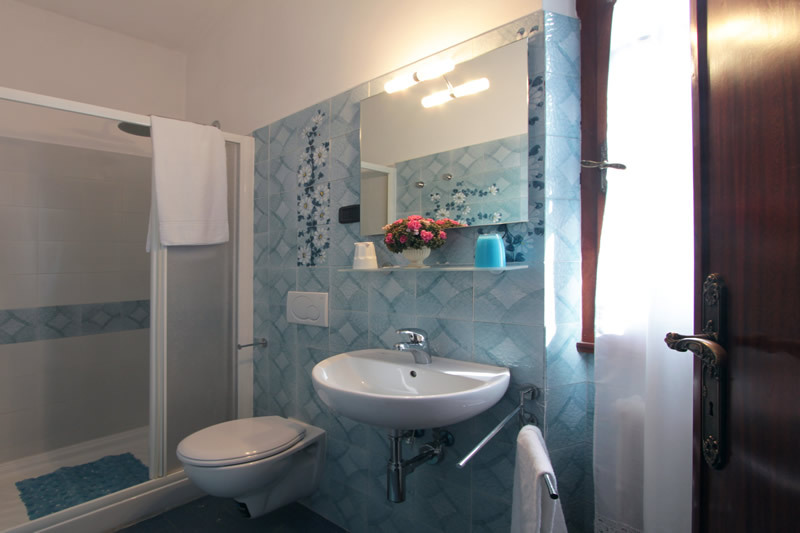 Inside villa Dea is cool, it has a new bathroom with a large shower cabin, it is bright and nicely furnished. 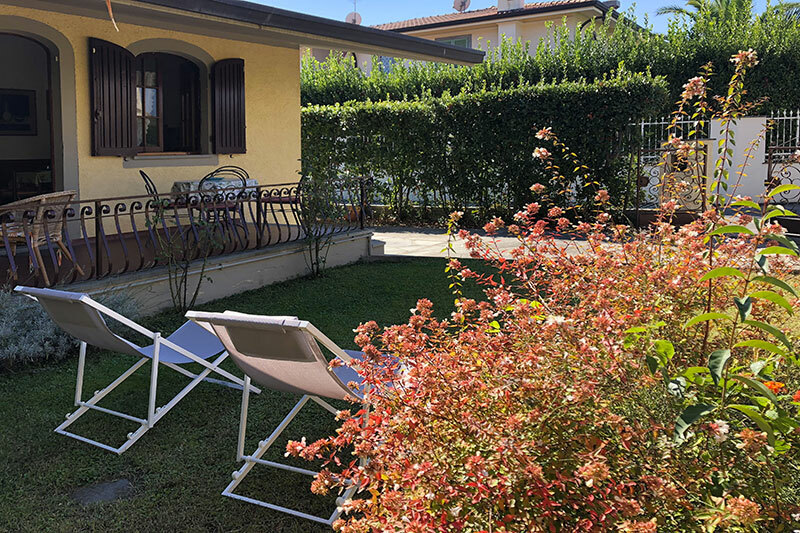 Villa Dea also has a covered patio, overlooking the garden, with all you need to dine and relax in the open, This is the ideal holiday villa, for a relaxing holiday for 3 persons, from which it is easy to reach all amenities. 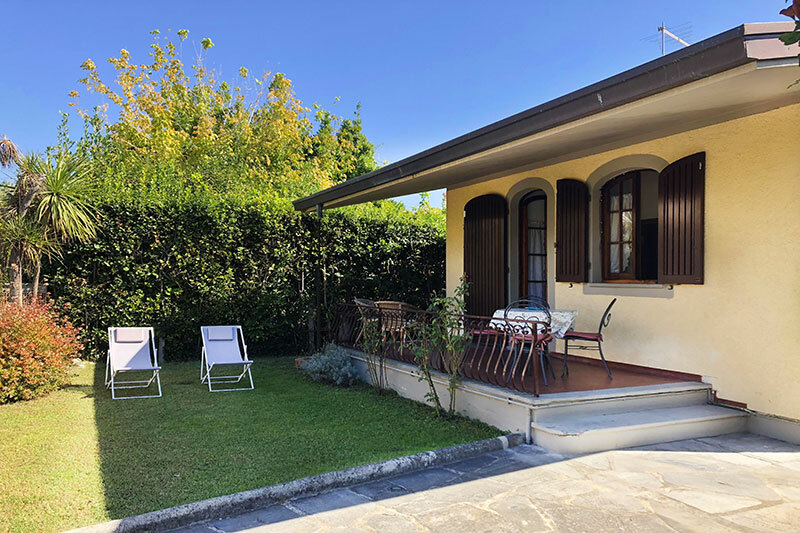 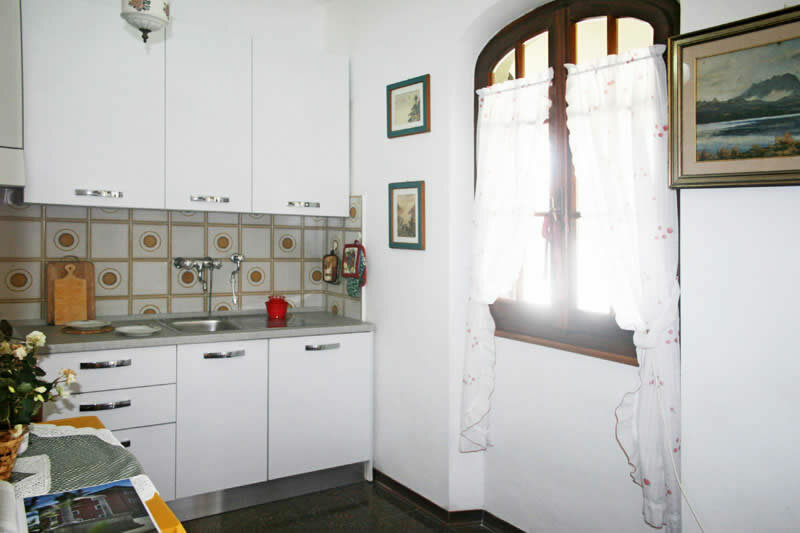 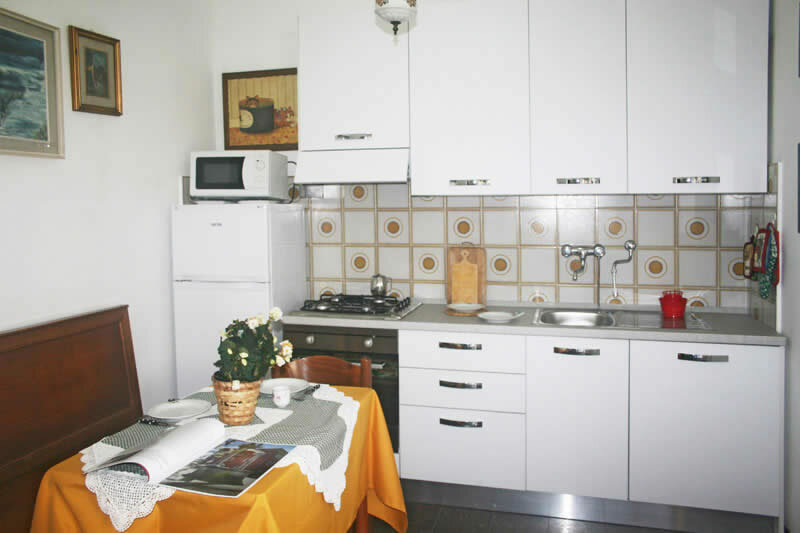 Villa Dea has: kitchen-living-dining room, double bedroom with air conditioning, single bedroom, bathroom with shower cabin, washing machine, microwave, dishwasher, colour TV, Wifi Internet, covered patio, alarm system, garden and private parking.